More than 400 cans of food, along with other items, were donated to the Weatherford Food Pantry as the result of a Southwestern Oklahoma State University food drive held in conjunction with recent SWOSU Homecoming activities. The drive was coordinated by the Collegiate Activities Board and Residence Life in hopes of making a brighter Thanksgiving for some families. 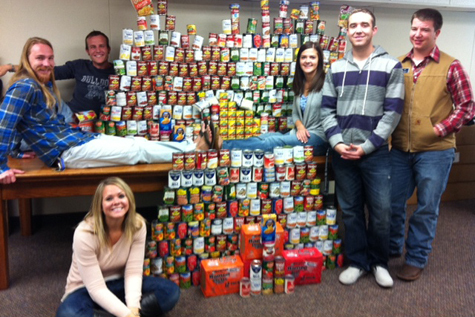 With some of the items are (from left): Sheach Bates, Bradley Jennings, Sarah Mueggenborg and Jessica Hauner, all from the Residence Life department; and Cody Sims and Zac Gulick, both from CAB. In 1961, Teruo Morishige (left) started his career teaching at the University of Central Oklahoma. 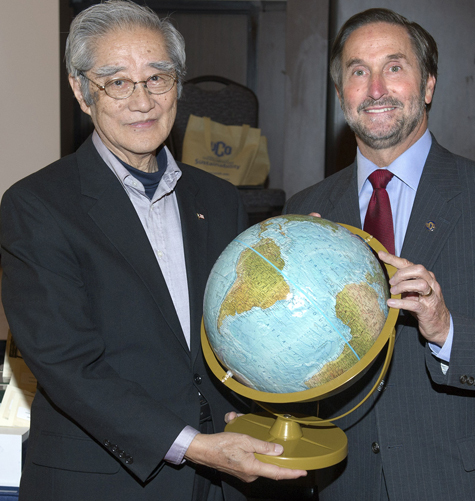 Morishige, an assistant professor of engineering and physics, was honored by his co-workers and Central President Don Betz, Ph.D. (right), for 50 years of service at the university’s annual Recognition of Service celebration. The event recognizes those who reach landmarks in their Central careers, beginning with 10 years of service. Morishige was the only one recognized for a half century of teaching at the university. 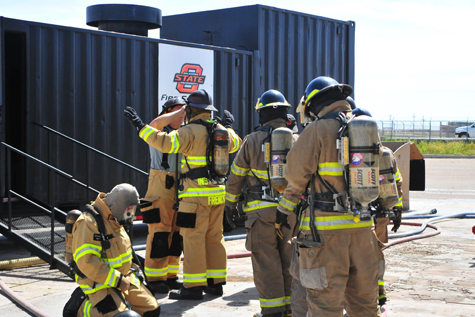 Oklahoma Panhandle State University helped sponsor the first Panhandle Regional Fire and EMS School in September. Approximately 140 firefighting and emergency medical services providers, representing 39 departments from Oklahoma, Colorado, Texas and Kansas, spent the weekend in Guymon to sharpen their skills and learn the latest techniques.